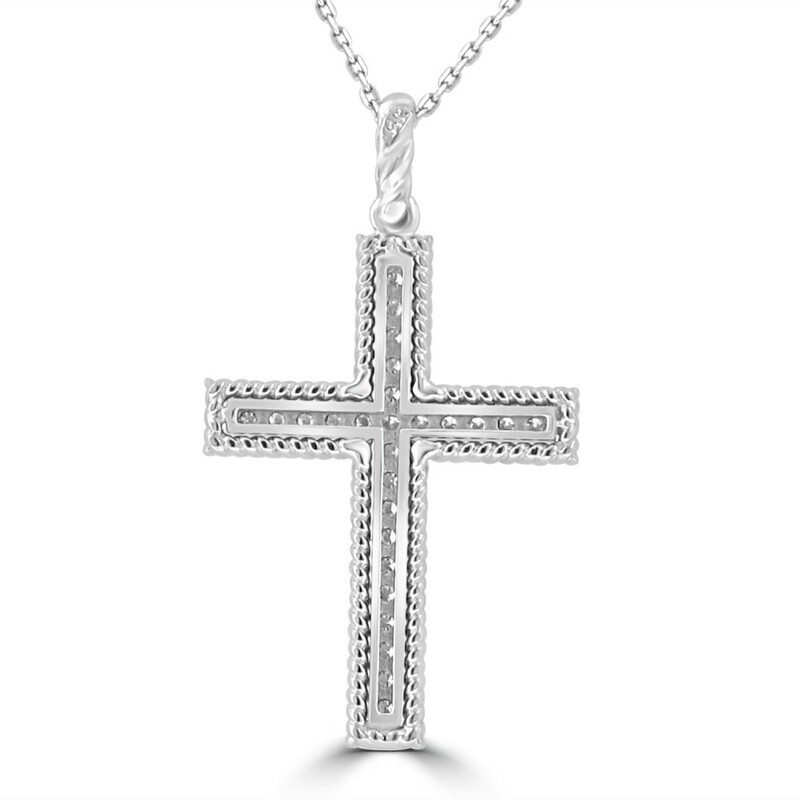 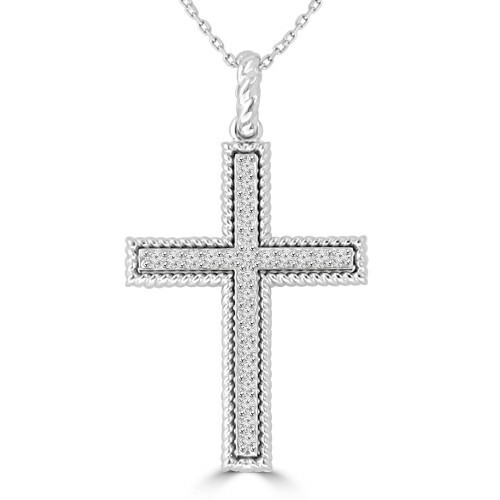 A shining display of your faith, our diamond accented cross pendant in 14 kt white gold is a sight to behold. 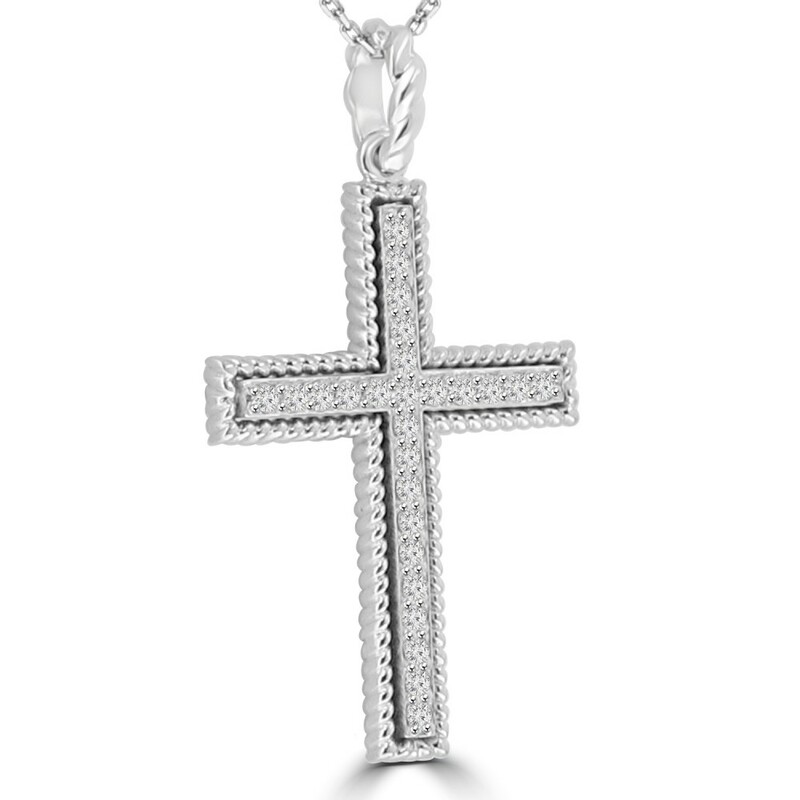 This spectacular cross has a 0.45 ct. round brilliant cut diamond with exceptionally white G color and SI-1 clarity. 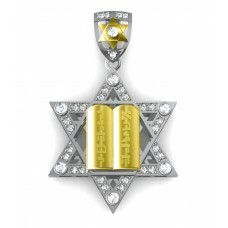 It is bezel set in the center of this 14 kt. 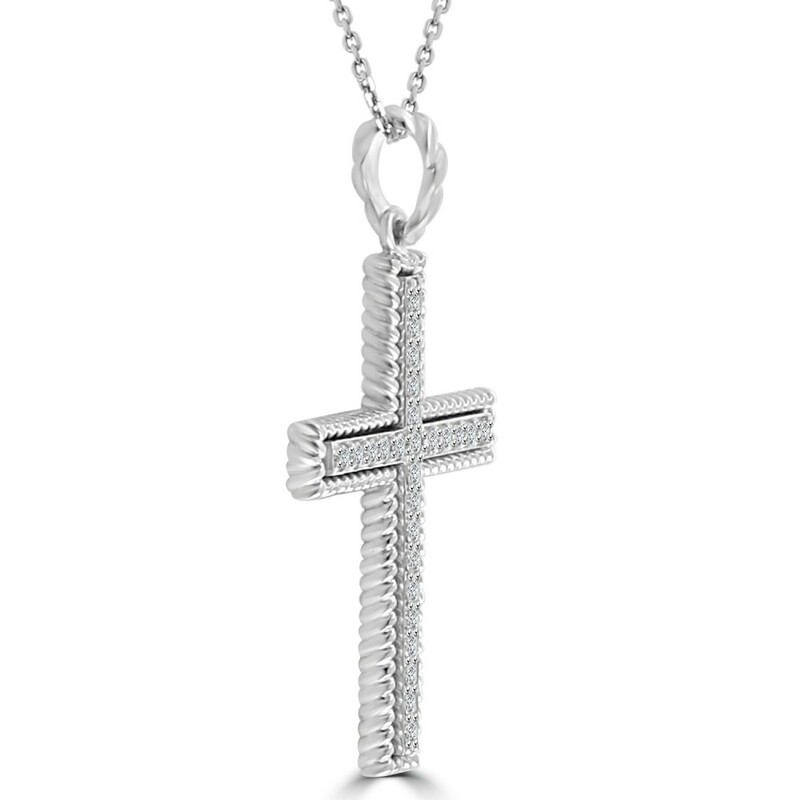 white gold pendant with solid bale and attaches to the neck on a 16 inch cable link chain also in 14 kt white gold. 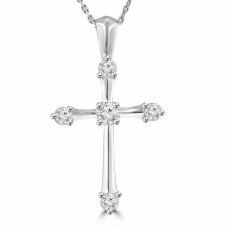 For a wonderful addition to your look that is filled with timeless meaning, this sparkling 1.50 ct..